The life expectancy of an American woman today is greater than any other point in time. This means women could spend close to a third of their life in retirement. Consequently, women have to save more today during their working years to fund their longer retirement. Many women are unable to retire today because they simply cannot afford to stop working. There are strategies to consider before applying for your Social Security benefits. We analyze your personal financial situation to help maximize your Social Security benefits and minimize the taxes you pay on them. Claiming your benefit at the wrong time can cost you money, we provide you with the answers to know when it makes sense to delay benefits and when it does not. How do I know I am making the right financial decision when I elect my Medicare plan? The most important decision you can make regarding your Medicare plan, is to apply for Medicare on time. 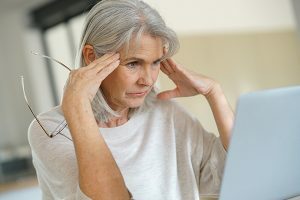 You have a six-month window to sign up for Medicare, if you miss the window when you are first eligible, you may have to pay a late enrollment penalty for as long as you have Medicare Part B coverage. The next important consideration is choosing the best plan for you. We help you compare costs of plans, and we estimate your savings and benefits. If you are still working, we help you evaluate the cost of keeping your current employer coverage vs switching to Medicare. Knowing that you are covered with a plan that suits you best, gives you peace of mind knowing you have made a financially sound decision regarding your healthcare needs. Can I afford to retire and maintain my current lifestyle? What about my dreams and goals? Considering retirement? Let us help you decide. We create personalized plans that grow with you. First we determine your expenses and your cash flow to assess your current needs. Then, we evaluate your expenses to find ways to save you money (for example we consider tax strategies that may be able to minimize your tax obligation and we offer a personal risk assessment to find out if you are paying too much for your insurance needs). We also evaluate your income generating vehicles and look for ways to increase earnings. When your personalized financial analysis is complete, we then have a conversation about your lifestyle and your dreams and goals. Developing a realistic plan to help you achieve them is our primary focus. We map out your financial future using realistic assumptions to project inflation and rates of return. We then run the numbers to show you your financial future. Do allow your needs to drive your planning process. Do exercise more control over your finances. Do maximize your retirement income by contributing to your retirement accounts. 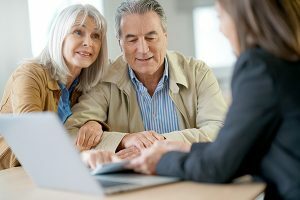 Do seek professional assistance before and after your retirement. Do estimate your expenses in retirement and identify your income stream. Do recognize that you may experience a loss of identity when you retire. of men seek professional assistance and financial advice for retirement. of women seek professional assistance and financial advice for retirement. of women will outlive their spouses by 20 years. of baby boomers have not saved enough for their retirement. Don’t wait until retirement to start planning for it. Don’t assume you have saved enough to fund your retirement. Don’t be reluctant to create a bucket list and a plan to enjoy your retirement. Don’t forget about your old 401(K) funds from earlier jobs. Don’t forget stress comes with change, own your stress and use it constructively! Don’t forget about Medicare’s special enrollment period even if you decide to be covered by another health plan. After working 42 years for a major U.S. corporation, Mary was laid off. She and her husband Mitch came to see us for financial advice. During the meeting, Mitch shared concerns about losing Mary's salary. He asked if they could continue to live their current lifestyle in retirement and if they were going to run out of money in their senior years. We noticed Mary was quiet and withdrawn. After asking some probing questions, it became apparent that Mary was facing an identity crisis. She worked most of her life as an upper-level manager. She was an integral part of the company. Without her job, she felt out of place, lost and withdrawn. During our meetings, we utilized various tools (worksheets and discussions) to help Mary find new meaning and direction in her life. We were able to bring out hidden passions from her youth, such as yoga, fitness, and gardening. 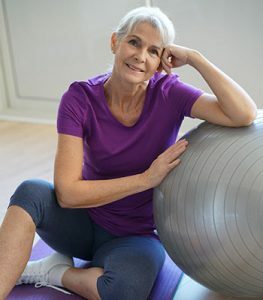 Retirement would provide her the time and means to focus on these activities. Mary became attentive and engaged. She felt back in control ready to transition forward into retirement. We worked on their financial plan and determined that they could retire with ease. Today, we work closely with Mary and Mitch. We review their financial plan annually; this provides them both with the comfort of knowing they can continue to chart their course and pursue their dreams. With regular planning, they continue to whittle down their bucket list every year! The CFP® designation is a professional certification for financial planners conferred by the Certified Financial Planner Board of Standards. Certified Financial planners are uniquely qualified to help individuals pull their finances together, solve their financial problems, and make a plan to help their clients achieve their financial goals. To receive the designation of CFP®, the candidate must meet education, examination, experience and ethics requirements. Not all financial planners are Certified Financial Planners, be sure you see the CFP® designation when you hire a financial planner. When it comes to retirement income, there are various sources that can provide you money after you’ve retired. If applicable, you can receive money from social security, retirement accounts, and pension plans, along with money from your investment savings accounts. Retirement accounts can be individual or company plans that allow you to invest money on a pre-tax or after-tax basis to invest for your retirement. There are several types of IRAs, including Traditional IRAs, Roth IRAs, SIMPLE IRAs, and SEP IRAs. Pre-tax basis represents funds that are placed in retirement accounts that are exempt from taxation (deducted on your tax return). After-tax dollars are monies that are already taxed by the U.S. government and put in a retirement plan where it can grow tax-free or tax-deferred, depending on your particular circumstances. Income stream refers to money you generate on a regular basis and is also known as cash flow. Typical retirement expenses include housing, transportation, healthcare, food, entertainment, insurance, charity/gifting, and shopping, as well as other miscellaneous expenses. A 401(k) is a retirement savings plan sponsored by an employer. It lets workers save and invest a piece of their paycheck before taxes are taken out (pre-tax). Taxes aren't paid until the money is withdrawn from the account. If you’re eligible at age 65, your initial enrollment period begins three months before your 65th birthday, including the month you turn age 65, and ends three months after that birthday. However, if you don’t enroll in Medicare Part B during your initial enrollment period, you have another chance each year to sign up during a “general enrollment period” from January 1 through March 31. Your coverage begins on July 1 of the year you enroll. There is a time outside of the yearly Open Enrollment Period when you can sign up for health insurance. You qualify for a Special Enrollment Period if you’ve had certain life events, including losing health coverage, moving, getting married, having a baby, or adopting a child. If you qualify for a SEP, then you usually have up to 60 days following the event to enroll in a plan. it leads to a deeper level of processing, which has a more sustained effect on your mood. Remember to write about something different each day."